Multi Value Pack! You Are Buying 4 Packs. Each Pack Contains 6 Units. You Will Receive A Total Package Quantity Of 24 Combined Units Of Traditional Medicinals Herb Tea Pau D'Arco 16 Bag Pau D'Arco Is The Inner Bark Of A South American Tree. It Has Been Used By Traditional Healers In Brazil, Argentina, Peru And Other South American Countries For Centuries. 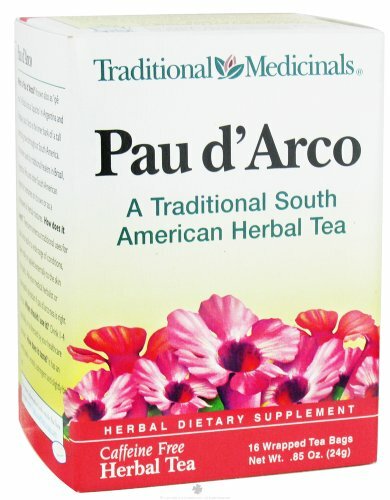 Modern Researchers Have Larg...... Pau D' Arco Herbal Tea Quantity: Bulk Pack Of 4 Packs. Each Pack Contains 6 Units. Multi-Pack Package Quantity 24 Units Description: Herb Tea,Pau D'Arco . (In Case Of Confusion On Contents Of This Multi-Pack - Please Email Seller). Attributes: Kosher, (Please Check The Manufacturer'S Details For Contents As We Are Unable To Guarantee Ingredient Details And They May Change Without Notice).